Vietnam always wants to strengthen and develop the traditional friendship with the Democratic People’s Republic of Korea (DPRK), Prime Minister Nguyen Xuan Phuc said during his reception for DPRK Foreign Minister Ri Yong-ho in Hanoi on December 1. The PM said the Vietnamese Government and people are ready to conduct exchanges and cooperate with the DPRK Government and people in all aspects for the interests of both countries’ people and in line with international law and the era’s general trend, thus contributing to peace, stability and development in the region and the world. He discussed with the guest the Doi Moi policy of Vietnam and measures to implement the policy under the leadership of the Communist Party of Vietnam (CPV) over the past more than 30 years, including the building of the socialist-oriented market economy and improvement of the people’s living conditions. He added that Vietnam is willing to share experience with the DPRK in expanding external economic ties, attracting investment and developing tourism. 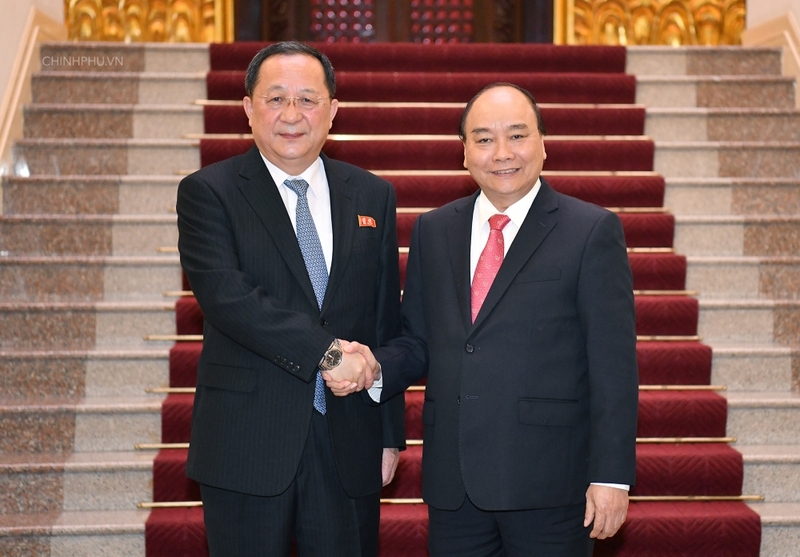 FM Ri Yong-ho affirmed the consistent stance of the Party and Government of the DPRK on continuing to strengthen and develop the traditional friendship with Vietnam, which is a valuable asset fostered by President Kim Il-sung and President Ho Chi Minh. He said the DPRK wants to bolster exchanges and cooperation with Vietnam in fields that meet each country’s needs and strength and in accordance with the development trend of the new situation. The FM said the DPK is working to popularise the new strategic guideline set by President Kim Jong-un and adopted by the 3rd meeting of the 7th Central Committee of the Workers’ Party of Korea, which focuses on economic development. According to the minister, in order to build a peaceful environment for economic development, President Kim Jong-un has recently intensified external activities with related countries. He wished the Vietnamese people greater achievements in implementing the guidelines of the 12th National Congress of the Communist Party of Vietnam.